Darrick Wood Infant and Nursery School is a thriving and happy community! 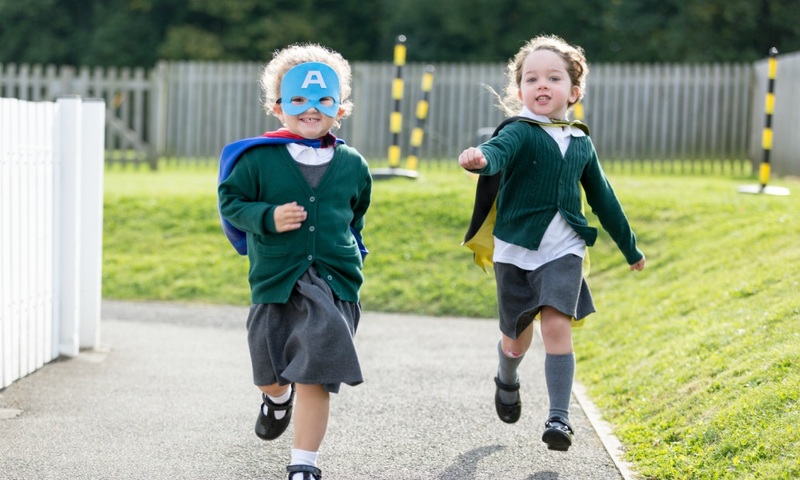 We have high expectations of achievement, attainment and behaviour and we are committed to every child achieving their absolute best regardless of background or starting point. We are a high attaining school and year on year we achieve results at the end of Key Stage 1 (Year 2) that are higher than the National average. We believe that true education is a result of a partnership between parents, children and the school and we will strive for that close co-operation which will give your child the very best foundation for his/her educational career. Our school’s outstanding OFSTED status allowed us the opportunity to convert to academy status in August 2011. This change has enabled us to have greater financial freedoms, independence and autonomy resulting in a wider range of opportunities and choice of services. This freedom allows us to facilitate bespoke provision for the children in our school. Darrick Wood Infant & Nursery School is an ‘Outstanding Academy’ accepting children between the ages of three and seven. We are a school in which the children feel secure and happy as part of a caring and cooperative school community. Throughout the school a lively and stimulating environment is created within which the children work with purpose and enjoyment, and take a pride in what they achieve. They learn to work together and to care for each other. We have a Nursery Class for pre-school children to attend on a part time basis, offering morning or afternoon sessions. It is run by qualified teachers and all Nursery staff are qualified in ‘Early Years’ education. (Please note it is not automatic entry into our Reception class from Nursery. Applications have to be made in the usual way through the Local Authority) We are situated next door to Darrick Wood Junior School and children automatically transfer from the Infant school to the Junior School. We have close links with the Junior school and children undertake a comprehensive transition between the two schools. The Local Authority’s Sensory Support Service is situated between the Infant and Junior Schools. This service provides specialist provision for children across the borough that have a visual or hearing impairment. Hearing impaired children receive specialist teaching for part of the day in the provision and then integrate into the mainstream school for some of the day. We celebrate the supported inclusion of our hearing impaired children into our mainstream classes for some lessons, assemblies, school performances, lunch-times and playtimes. All children learn British Sign Language in school.